While we believe that our sofa beds in Vancouver look gorgeous all on their own, we recognize that a simple sleeper sofa standing alone in the middle of a room might not be your aesthetic. Accessorizing your sofa bed can bring the room together and create different looks, depending on what options you choose. Whenever you’re in the mood for something new, you can just change out your accessories and make the room feel new. The basic sofa bed has a comfortable seating area with a simple seat back and arms. There are no pillows. You can easily dress up your sofa bed with some colorful accent pillows with unique patterns or designs. Of course, you’ll also want to make the sleeper sofa look good when the bed is pulled out for guests. In Vancouver, you can shop for gorgeous duvets, comforters and other linens at Daniadown Home, Rothman & Co., and Pisolino. Just changing out the linens on your bed can make your sleeping area seem attractive and inviting. A good rug will tie furniture together and create a focal point for a room. You can put a rug between a queen sofa bed and a twin sofa bed to create a seating area of a couch and chair. You’ll automatically have a cohesive grouping with the addition of the rug. Again, we’re lucky here in Vancouver to have several retailers offering high-quality and gorgeous rugs. You’ll find some excellent options to complement your sleeper sofa at West Coast Rugs, as well as Golden Rug. You can change the size or design of the rug to refresh the look of the room or to try out a different style. The other furniture around your sleeper sofa can have a powerful influence on the look of the room, as well as its functionality. Adding some stylish side tables to your sleeper sofa will improve the décor in the room while also giving you more convenience for keeping drinks, snacks, books or other items nearby. 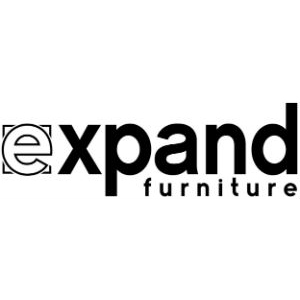 Expand Furniture offers some unique and interesting side tables that look perfect with our sleeper sofas. 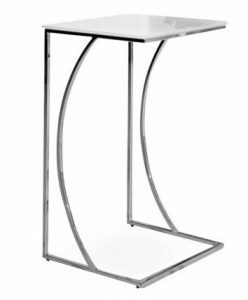 The Crescent Glass Side Table is elegant and sophisticated, and it has just enough space for a cold beverage or a tasteful lamp. The Minima Side Table Set has a larger surface area, and it includes a pair that will flank the sleeper sofa and provide wonderful balance. 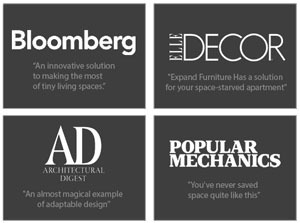 If you want more flexibility, consider the Bow Nesting Tables, which have the same elegant design but come in three different sizes. When not in use, the tables nest inside each other so as not to take up more floor space. You can easily remove the sized table you need when you need it. A coffee table is the perfect pair for a sofa. If you are trying to maximize your space, consider a transforming coffee table that can turn into a dining table as needed. The combination of a sleeper sofa in Vancouver and transforming coffee table is ideal for a studio space, where you can use one room as a living room, bedroom, and dining room. 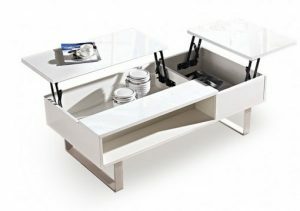 Both the Box Coffee to Dining Table and the Occam Coffee Table with Lift Top are great choices. They are both gorgeous tables that serve dual duty, and the Occam table also includes some storage space. The living room and the bedroom are the perfect places to relax and watch some television or a good movie. By putting a TV stand next to your sleeper sofa, you make it easier to enjoy some entertainment. 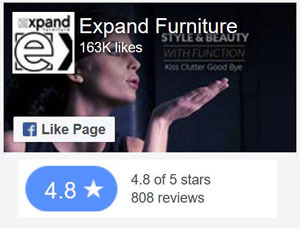 By choosing an attractive TV stand, you also elevate the décor. The slim TV stands at Expand Furniture have a gorgeous modern design and have a compact size that helps you maximize space. 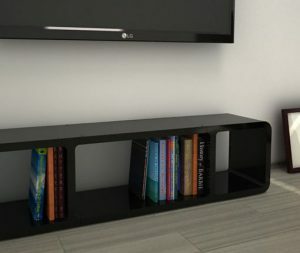 Our slim TV stands also include modular shelves with cubbies that can keep important items nearby while also hiding the clutter. Keep your remotes, DVDs, game systems and more on these shelves. Modular wall shelves can be placed over the sleeper sofa to display books that you might want to curl up on the sofa and read or to display some of your favorite décor pieces. 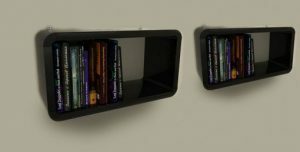 Expand Furniture’s modular wall shelves can be put into different configurations to take on different shapes and different sizes. You can put several of the shelves together, or you can use just one or two small shelves to maintain a minimalist look. Putting the right accessories together with your sleeper sofa can help you create a beautiful home that is also space-conscious. 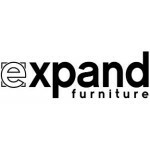 Explore the full online catalog at Expand Furniture to find the perfect accessories – or the perfect sleeper sofa – and shop local Vancouver retailers for some extras.